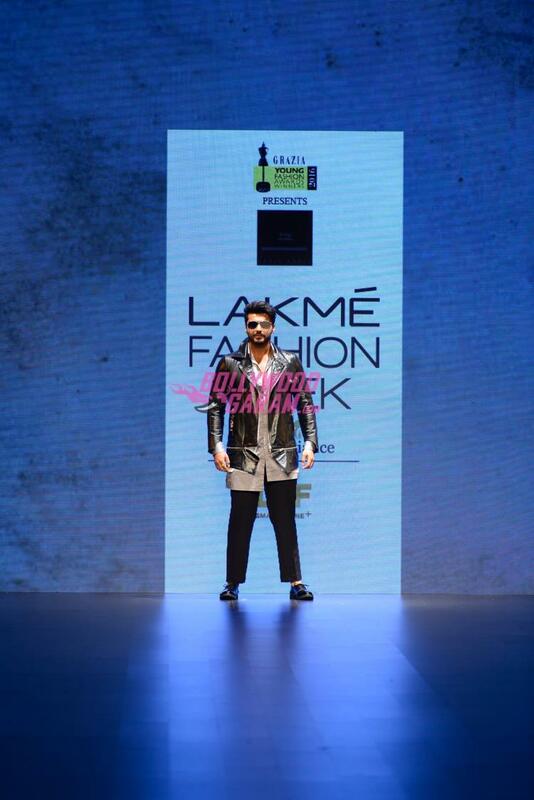 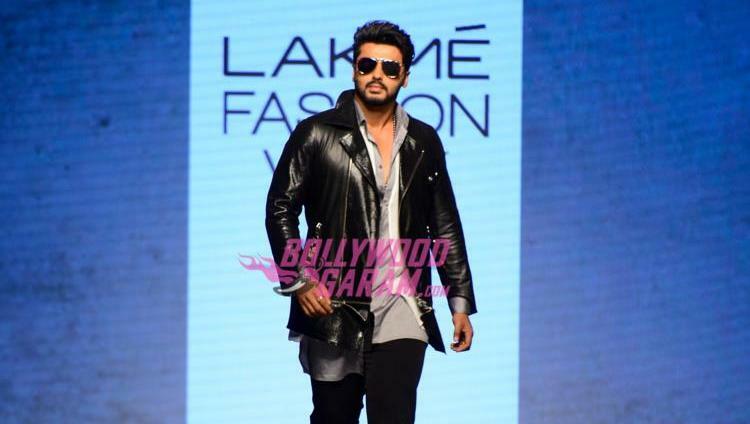 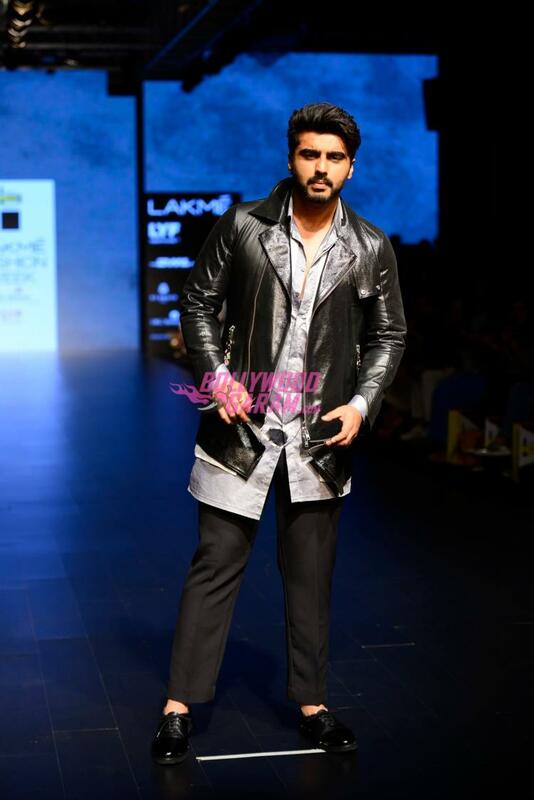 Bollywood actor Arjun Kapoor turned showstopper for designer Sahil Aneja at the Lakme Fashion Week Winter Festive 2016. 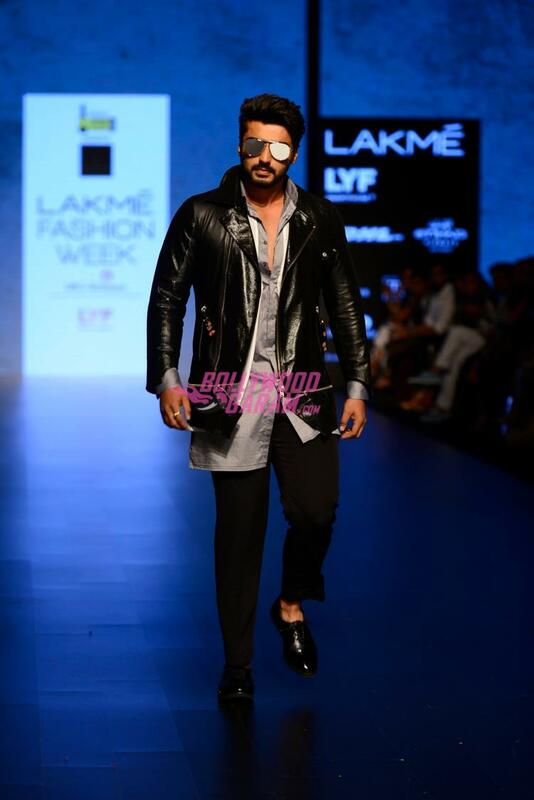 The ‘Ki and Ka’ actor looked dapper in a black leather jacket, brogues and mirrored sun glasses. On the work front, the actor was last seen in the movie ‘Ki and Ka’ and is currently filming for the upcoming movie ‘Half Girlfriend’.